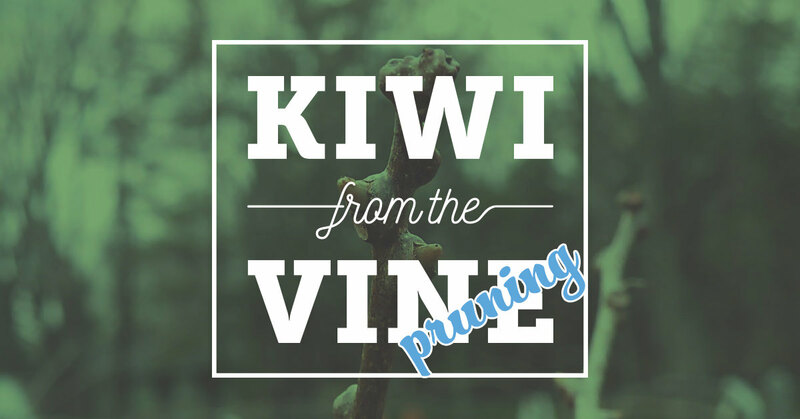 If kiwi vines are not pruned one or more times during the summer, the vines will become a tangled mess and your fruit production reduced in the current and following season. 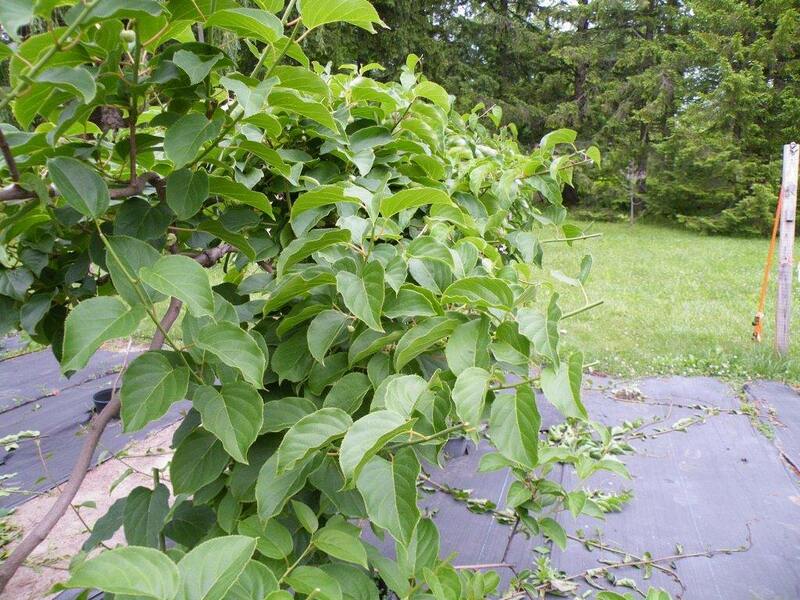 Pruning prevents the unruly vines from twisting around one another. 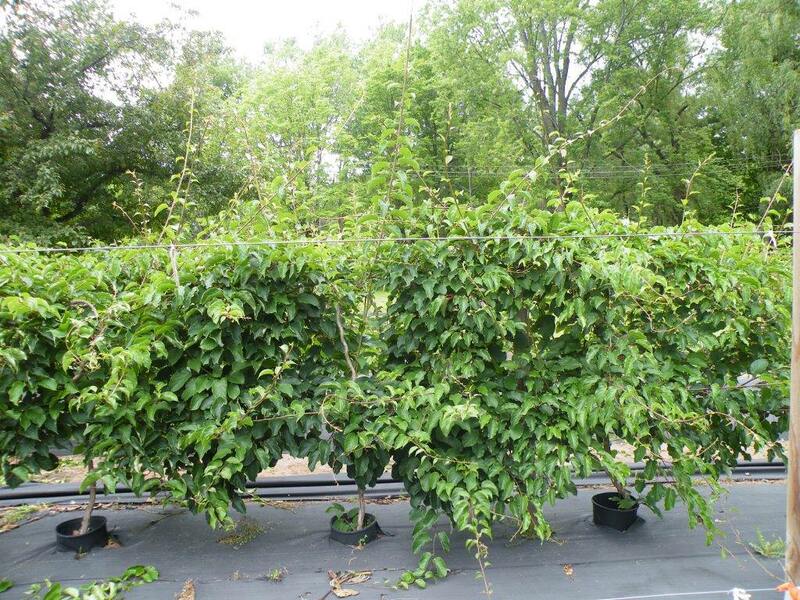 Excess foliage will shade the flower buds, causing delayed flowering and poor pollination. 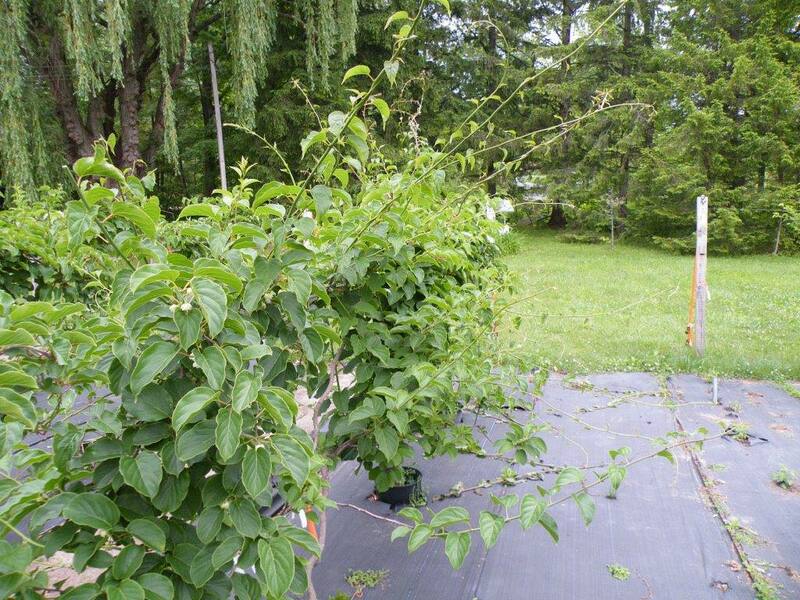 Excess foliage will promote fungal growth because the flowers and fruit cannot dry after humid conditions, such as dew or rain. 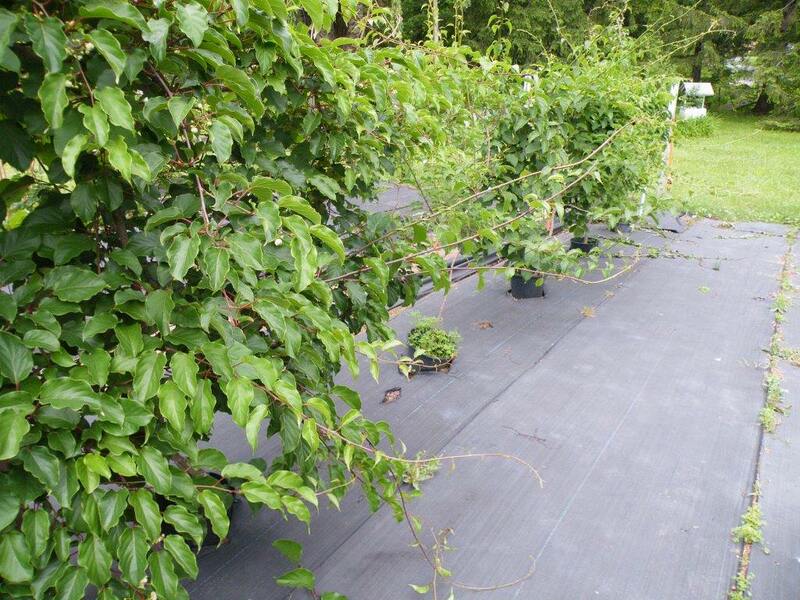 Insect pressure will increase because insecticides will not be evenly distributed throughout the dense foliage. 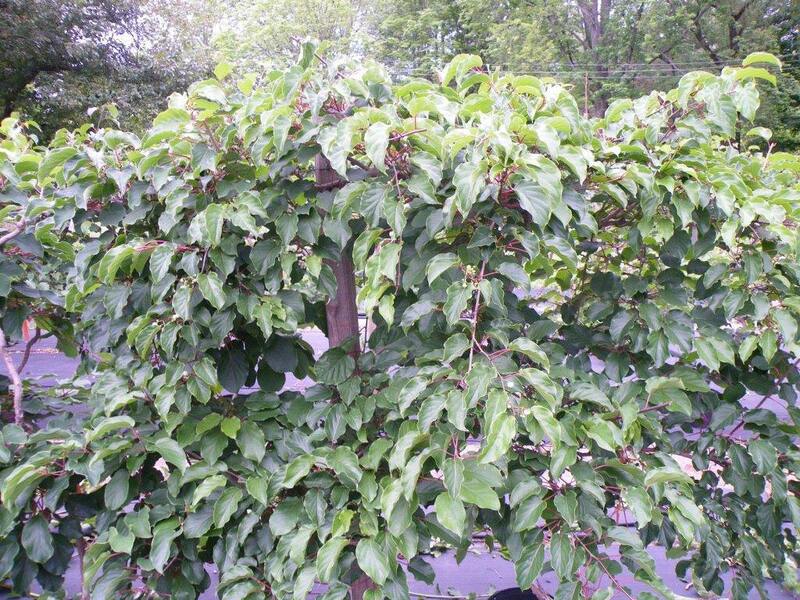 The foliage and stem growth will delay timely and uniform fruit ripening. 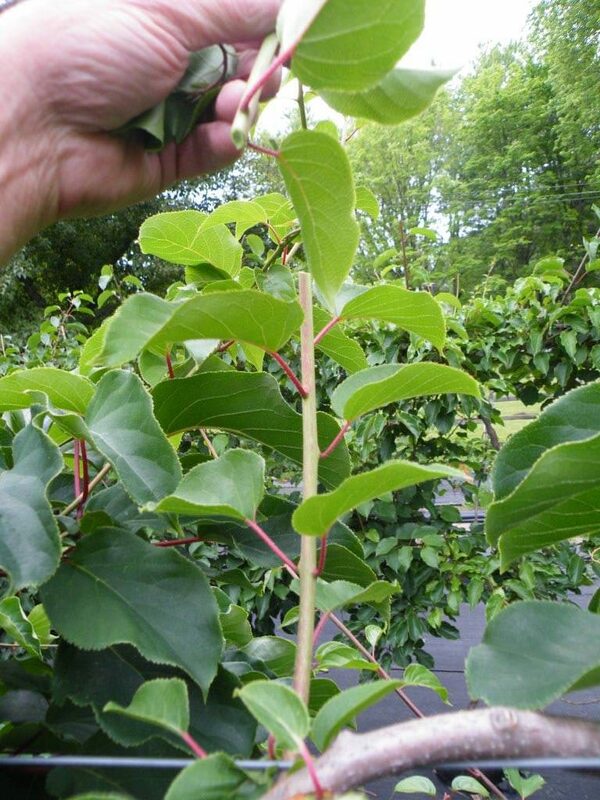 On the positive side, fruit size will increase with the removal of excess foliage and emerging stems. Fruiting wood must be selected for next year’s crop. 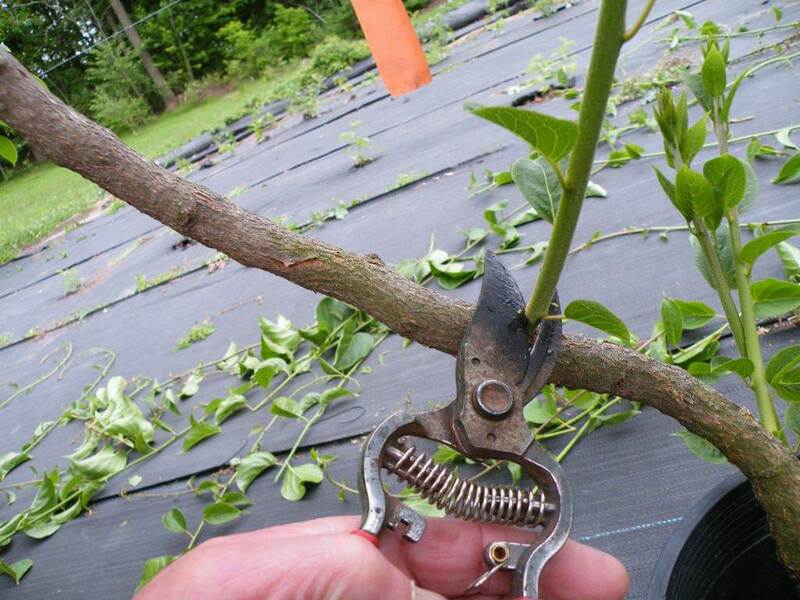 The first pruning of the vines should ideally occur when flower buds appear or at 5% open flower. 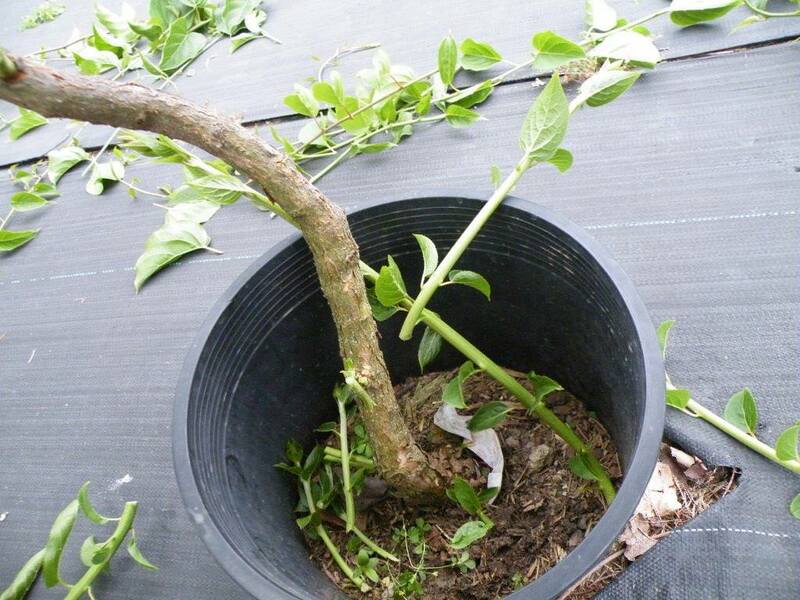 It is best to begin the pruning from the top of the plant and work the pruning downward. 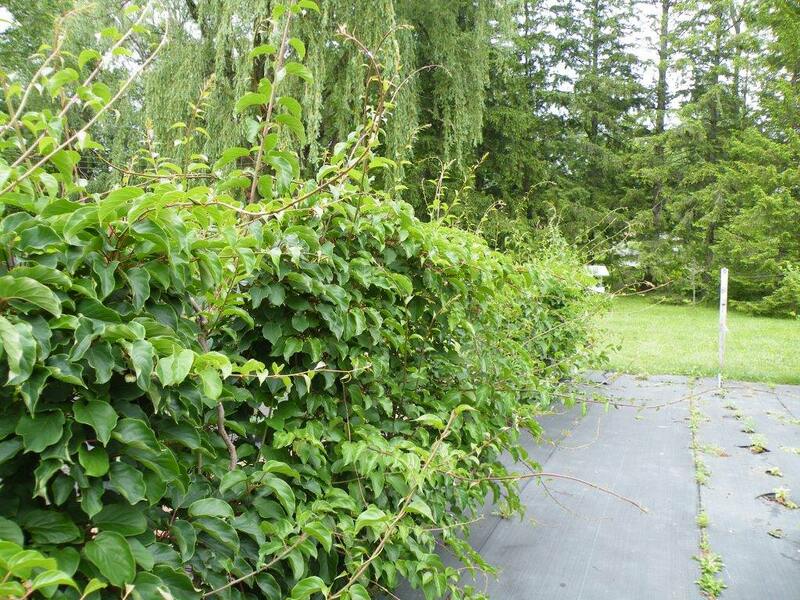 Support wires will vary in height and trellis style. This is the grower’s choice. Our top wire is 5’ above the ground. The bottom wire is 30” above the ground. There will be long and vigorous stem growth from the top cordon, especially on the male vines. 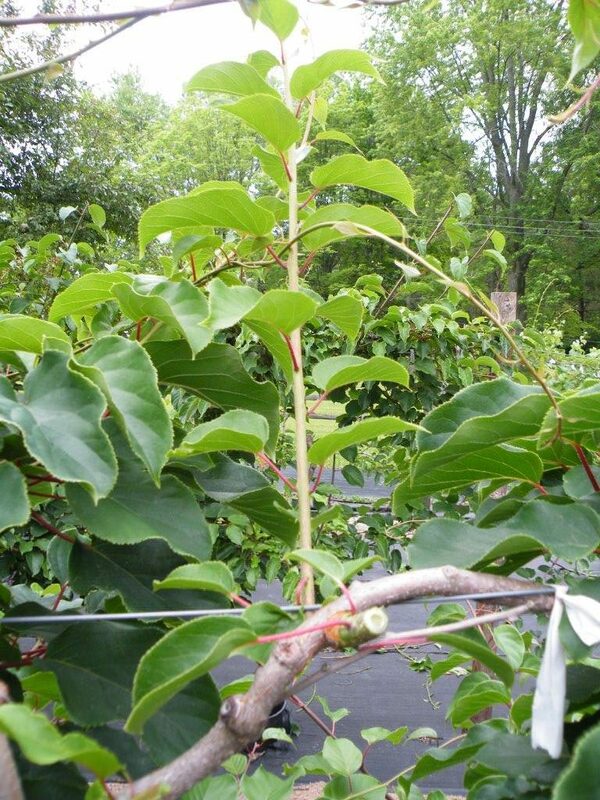 New stems grow vigorously, even wildly, and will become overgrown and out of control on the cordon within a few weeks, if the stems are not trimmed. 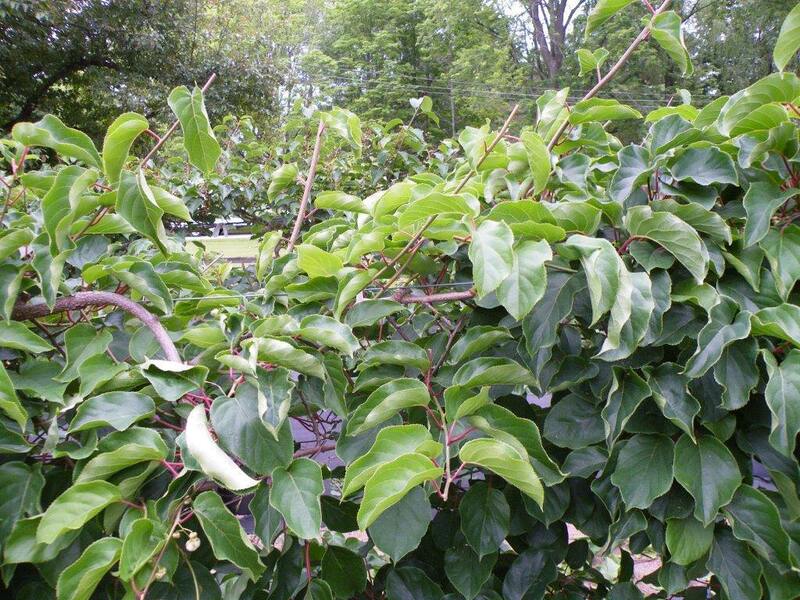 Summer is the time to prune out overly vigorous stems. 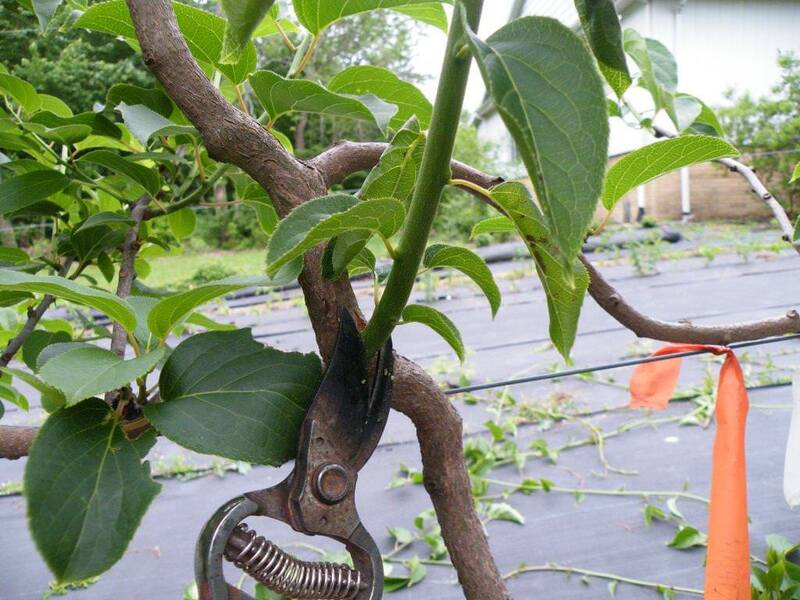 When pruning the stems, be sure to select stems that must be kept on the cordon as fruiting stems for next year crop. Fruiting stems should be spaced on the cordon 6”-8” apart. Stems will grow horizontally and vertically from the cordon. 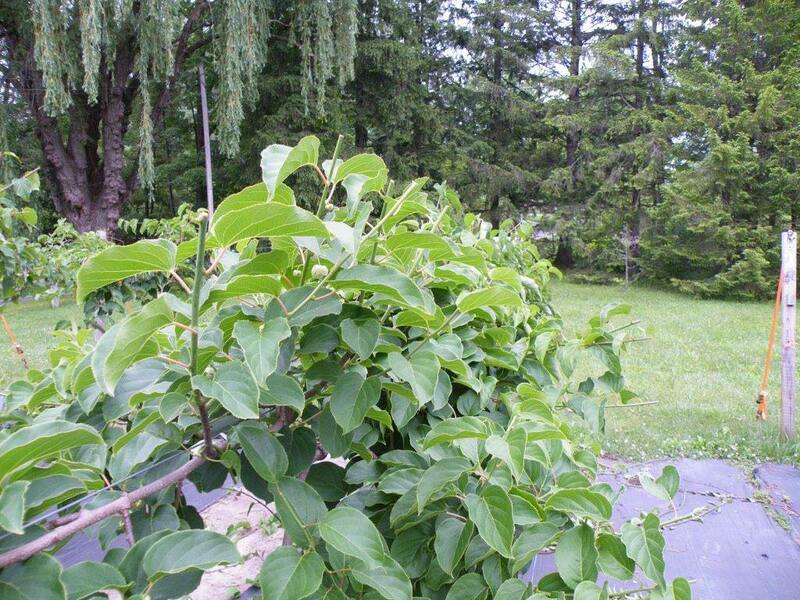 Select the fruiting stems and prune them back to approximately 8”-18” in length. 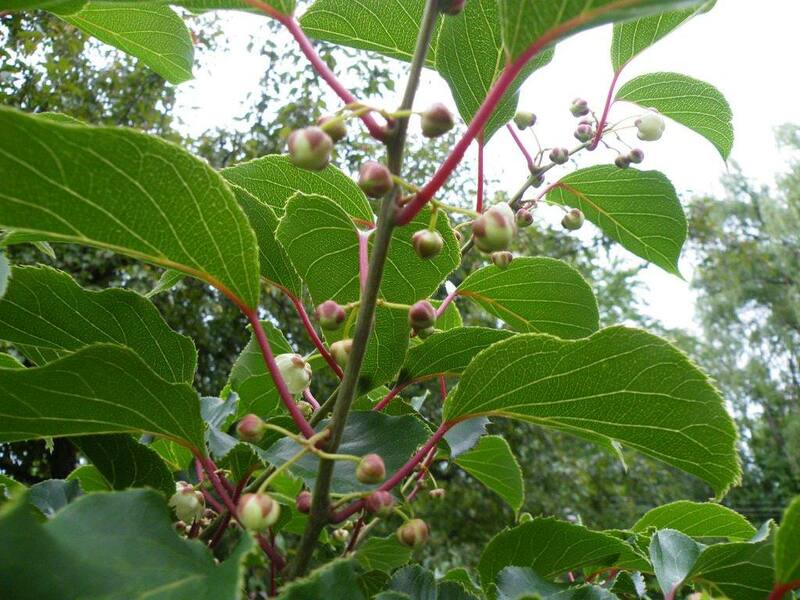 Select the fruiting laterals/stems. They may be growing horizontally or vertically. 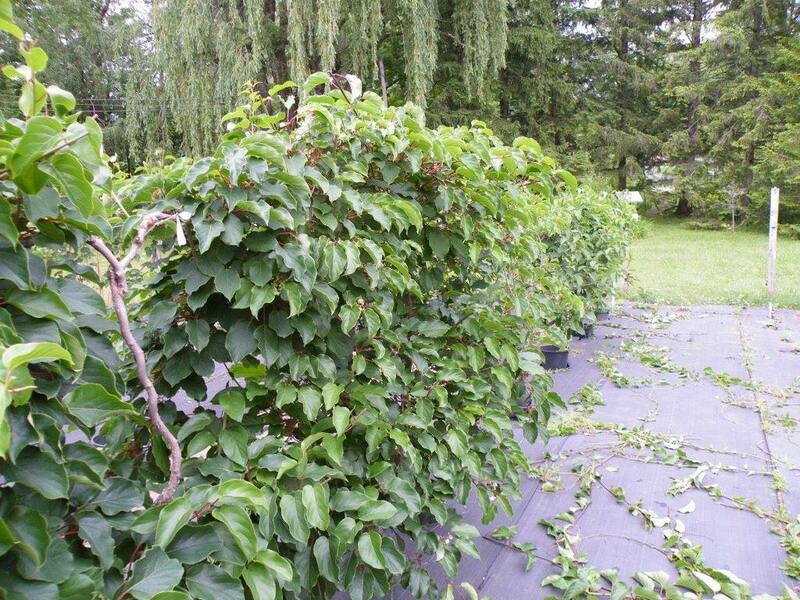 Again, prune them back 8”-18” in length. 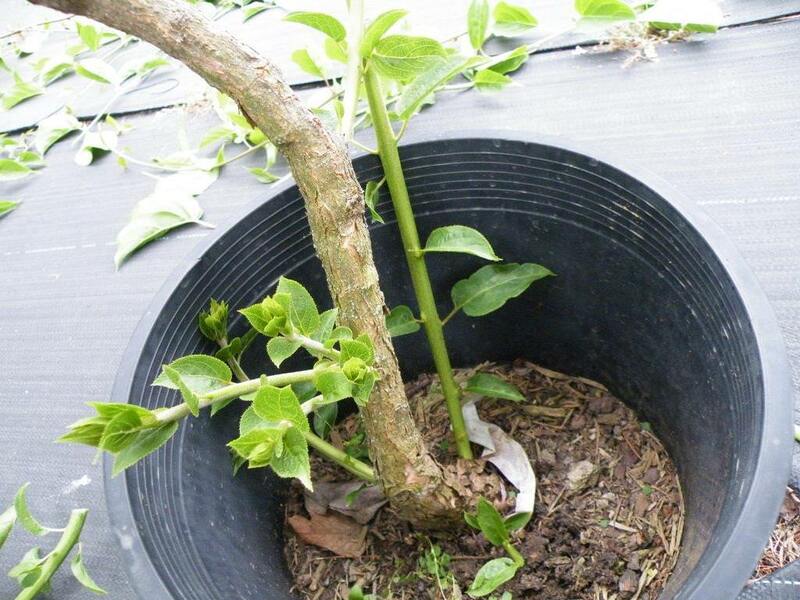 After trimming away fruiting and unwanted stems of the cordon on the top wire, observe the growth on the trunk and at the plant base. Remove all growth in these areas. 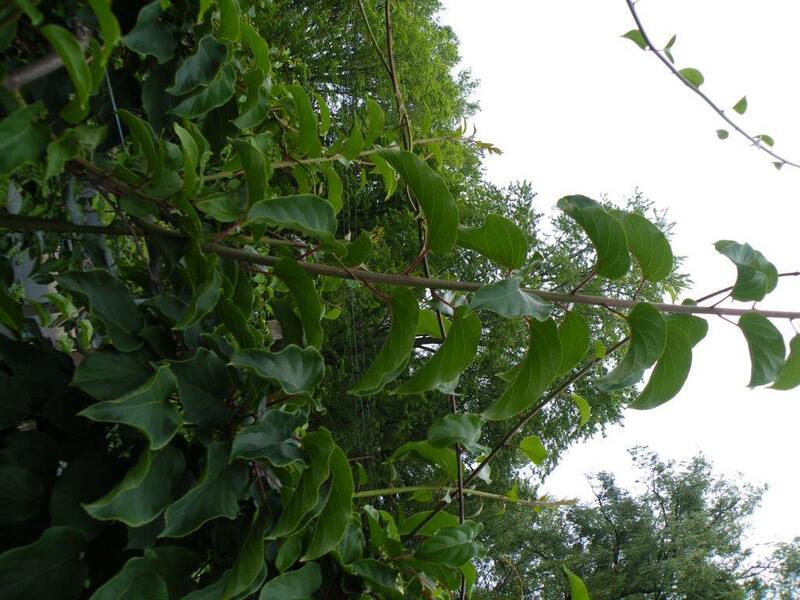 When the pruning is complete the appearance of the Kiwi vines will be compact and the flowers and fruit will be exposed to the light and pollinating insects. 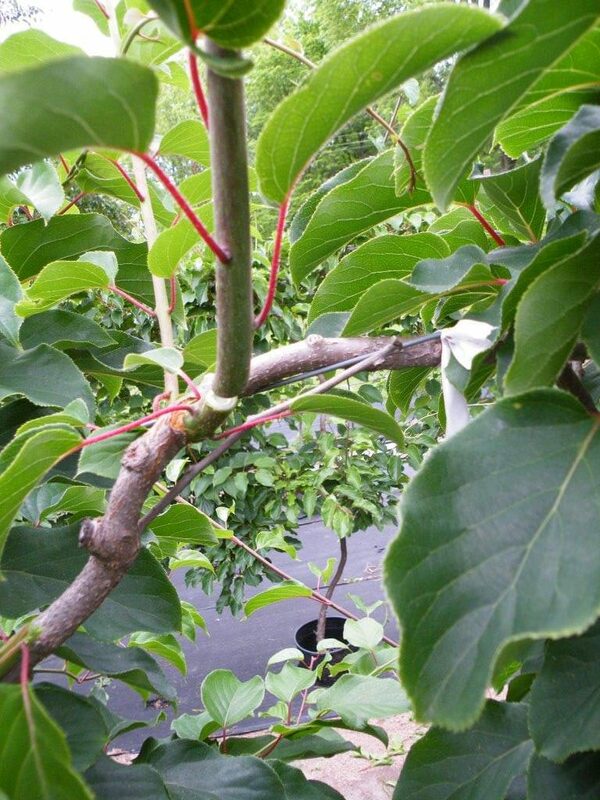 After 3-6 weeks into the summer months, more stems will grow on the cordon, previously pruned stems, and the trunk. Repeat the previous trimming steps to control growth and to create new fruiting laterals/stems for fruiting in the next year. 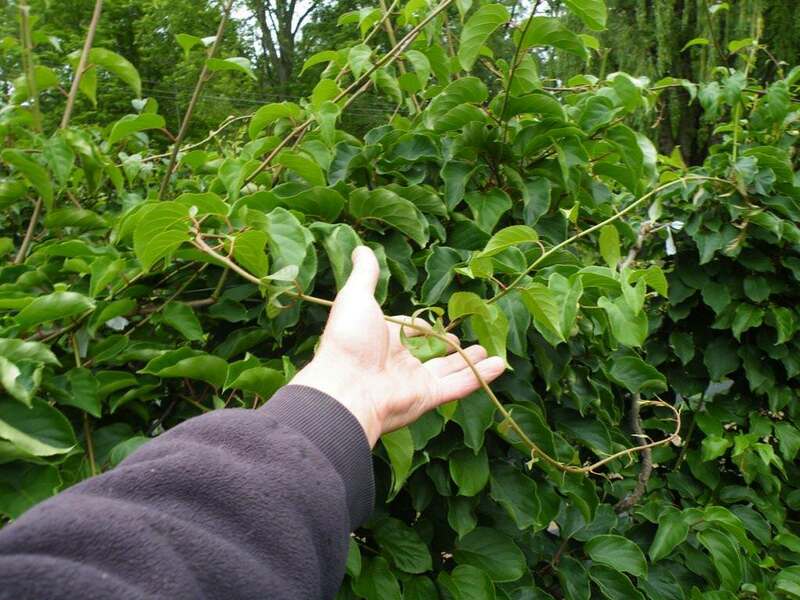 Imagine yourself as a kind of surgeon and give the vines a good, but thoughtful trimming, cognizant of the different parts of the plant’s anatomy: the trunk, cordons, fruiting laterals and new laterals selected for fruiting the following year. With practice, you will become an expert kiwi surgeon and your “patients” will thank you for the operation. You can even show off your work for others to admire. Welcome to Hartmann’s Plant Company – With experienced and caring people you can be assured to receive quality service and products. Our customers are very important to us. We want you to be successful in your gardening endeavors. © Hartmann's Plant Company. All Rights Reserved. Design by Bloom 7.